Officially known as the Kyrgyz Republic, Kyrgyzstan is located in Central Asia and is one of the six independent Turkic states. This landlocked republic is bordered by Kazakhstan to the north, Uzbekistan to the west, Tajikistan to the southwest and People’s Republic of China to the east. The capital of Kyrgyzstan is Bishkek, which is the largest city in the country covering a total area of around 49 square miles with a population of around 1.25 million. Being one of the top destinations to provide MBBS for Indian students, Kyrgyzstan also has doubled the total number of Indian students for medical studies in less than half a decade with the rising rate of 21.54% per annum. Alongside, studying MBBS in Kyrgyzstan is very cost effective if you compare medical studies in India and other countries like the USA, the UK, Australia, China and Russia. Basically, Kyrgyzstan is the correct answer to the question of students- “Affordable & Quality Education of MBBS in Abroad”. The Universities of Kyrgyzstan emphasize on the overall development of the student’s knowledge and on extensive development of the student in his/her chosen field of specialization. Medical education in Kyrgyzstan is one of the best destinations in the world, with the student’s performance & progress measured against several parameters. It ensures the student that he/she will be a successful doctor upon his return to India, provided they work hard and give their 100% efforts in their academic and practical exposure. 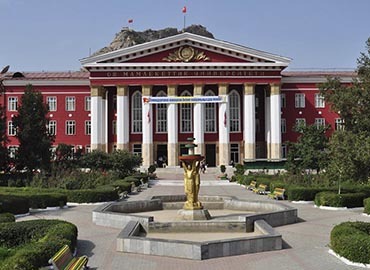 MBBS in Kyrgyzstan is already being pursued by thousands of Indian students, who get or are attracted by the prospect of a high-quality education together with the low cost of fee structure & living. MBBS in Kyrgyzstan is an exceptional option for all the international medical aspirants especially the Indian students. After qualifying for NEET in India, the real struggle begins - less availability of seats in Government medical colleges or demand for the huge amount of donations/capitation fees, due to which Indian students are left with few options only. Either they have to prepare again for NEET-the next year or quit the stream. At this point, students must think about MBBS in Kyrgyzstan, as it is an exceptionally good option for them. The country that is rising in the ranks of best locations to pursue MBBS in the world is Kyrgyzstan. It has become one of the best choices among many countries that offer an affordable opportunity to Indian students. 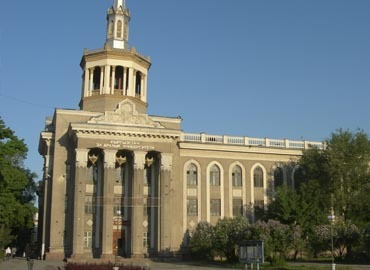 Globally Recognized Degrees- The degrees that are awarded after students complete their medical studies, are acknowledged globally as the Top Medical Universities of Kyrgyzstan are approved by the Medical Council of India (MCI) enlisted with World Directory of Medical Schools (WDOMS) and other general medical councils. Economical Cost of Education & Living- What you pay in India per year to study MBBS is just a little less than what you pay in Kyrgyzstan for complete 5-year MBBS to study the same syllabus. Not just the tuition fee but also other expenses like travel expenses, accommodation rentals, food expenses are also relatively lesser in Kyrgyzstan than other countries. Indian Food- You will get Indian food cooked by Indian chefs in the hostel campus. You will get dishes such as dal, chapati, rice, etc. Both veg and non-veg food will be available. Advanced learning techniques: There are many foreign countries which offer modern and better learning techniques to educate the present generation. These new learning techniques attract the present generation to opt for studies in Kyrgyzstan. Medical Universities of Kyrgyzstan, have modern laboratories with world-class facilities which provide a good atmosphere for doing research. Excellent Student-Teacher Ratio- Though student-teacher ratio is always skewed in Indian colleges, but in Kyrgyzstan, it is excellent for the students i.e. 1:12. Here they get a chance for personal guidance- one on one with the skilled faculty members, thus allowing teachers to give individualised attention to each student. Medium of Instruction- In all the Top Medical Universities of Kyrgyzstan, English is used as a medium of instruction, which reduces the chances of the language barrier in the entire academic duration. Students are also taught the local language so that they will not face any issues in their clinical rotations; where they have to communicate with the local patients. 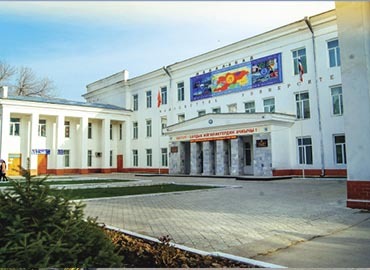 Reputed Medical Universities of Kyrgyzstan offer quality education at an affordable cost from a longer period of time. Courses for Local Language- It is a fact that English is used as a medium of instruction in all the Top Medical Universities of Kyrgyzstan but for communication purposes during internship, student have to learn local language- Kyrgyz. So, international students are taught local language also during their course. Great Practical Exposure- Practising the theoretical knowledge at good hospitals, is a very important part of your academics. Students will have great practical exposure at various associated hospitals of the Top Medical Universities in Kyrgyzstan. Favourable climatic conditions- Climatic conditions are favourable at Kyrgyzstan, especially for India students, as it is identical with the climate of North India. No Additional Entrance Exam- All medical aspirants from India to Kyrgyzstan gets direct admission for MBBS without any additional entrance examinations. You are not required to pass any entrance exam for studying MBBS in Kyrgyzstan or during your studies in Kyrgyzstan. Overcrowded universities- Due to the overstuffing of students in some of the universities in Kyrgyzstan, it leads to various problems for the students because of overcrowding. Cheating Agents- The selection of a reputed consultancy is a vital step. Students get defaulted through wrong information about fees, overall course budget and other related issues. So the students and their parents should always be aware and not get trapped in it..
Communication- A big hindrance for the students in Kyrgyzstan is Communication, as the language barrier plays a key role in acting as a major hurdle for the students studying in Kyrgyzstan. It may not always be with your peers and teacher, but even communicating with the local people becomes challenging. Environment- As the student moves into a foreign nation, the environment, languages and people all around might cause one to feel homesick. Unfamiliar with the surroundings and a new culture makes one introvert and they might confine themselves from any social gatherings. Although there are a few demerits while one studies in Kyrgyzstan, there are always more benefits. Education in Kyrgyzstan might have a few disadvantages, but these negatives can be overcome by a positive outlook. Step 6- Visa stamping is your last step for your admission process. We- at the Education Abroad, get your Visa stamped in New Delhi. Completing the all above steps, just pack your bags and get ready to fly towards your medical dream destination- KYRGYZSTAN!! The Perfect Fit For You!!! Practice in Kyrgyzstan - Getting settled in Kyrgyzstan is also a good option. After completing MBBS in Kyrgyzstan, you can practice there or choose to pursue post-graduation. Return to India for practice- After completing MBBS from Kyrgyzstan, those students who wish to practice medicine in India, need to qualify MCI Screening Test. Similarly, in order for students to practice medicine anywhere in the world, the students will have to qualify the licensing exams of that particular nation. It is compulsory that the graduates clear the screening test as it is conducted to test an individual’s skills & capabilities. The test is conducted twice a year (June & December), so the aspiring students have the option to clear this exam in two attempts. It has no age limit and no rankings. The exam is graded in 300 marks and 50% marks (150) are required to pass the test. Chance in Hospital Management- Presently, Hospital management is a fast developing sector, offering a good career scope for the students from Medical background. Students also go for Masters in Hospital Management, after MBBS from Kyrgyzstan. Pursue MD in USA or Germany after MBBS in Kyrgyzstan- The major benefit of completing MD/MS in USA or Germany is that students do not need to appear for MCI Screening Test before or after MBBS in Kyrgyzstan/Abroad. Upon your degree completion in Kyrgyzstan, you can pursue Postgraduate level (MD/MS) from USA/Germany without clearing the MCI test. The degree offered from USA or Germany would be valid in India as well as USA/Germany. Also, all the students are given a monthly stipend of approx. USD 4,200 while pursuing Medicine in America. So concluding all the above facts, students will surely have a bright future in their medical career after returning back to India as fresh graduates from the Top Medical Universities in Kyrgyzstan are welcomed in India because they are having the adroitness & wide exposure in various ways. Therefore, opt for Kyrgyzstan as your destination to become a successful DOCTOR. EDUCATION ABROAD- It’s Your World….